Peaceful co existence of the Presbyterians shattered. The people themselves began to be persecuted for simply being Presbyterian - a Mrs Pont, a ministers wife, was sent to prison for three years. Lady Clotworthy was summoned before a court to explain herself; Sir Robert Adair was indicted for treason , lost all his property and had to flee to Scotland; Henry Stewart a wealthy landowner was fined a total of £16,000 - a huge amount of money at that time. The Presbyterians were then subjected to the ` Black Oath` - requiring a declaration of loyalty to the King and denouncing all covenants including the National Covenant. This was followed up by Episcopalian ministers and church wardens having to produce a return of all Presbyterians in their vicinity and whether they had taken the Oath. There followed many imprisonments and people began seeking refuge in the forests and caves and fleeing to Scotland. Wentworth, now Earl of Strafford, and Lord Lieutenant of Ireland even began his plan to banish all Presbyterians from the country. A list was produced of the leading Presbyterians, ministers and people, who were ordered to remove themselves to the Province of Munster- the counties of Kilkenny, Waterford and Tipperary. Providence intervened, as King Charles had been defeated in a battle by the Scots in the North East of England and had to call a meeting of Parliament to obtain funds to continue the war. This ` Long Parliament` as it was to be called impeached Wentworth for his misdeeds and consigned him to the headsman`s axe in May 1641. In the same year there began the Irish Killing Time as the native Irish sought to regain the escheated lands, and began their murderous onslaught on the Protestant settlers. The Solemn League and Covenant of 1643 was the agreement by Presbyterians and the English Parliamentarians for extension of the Presbyterian faith into England, Ireland and Wales. It was taken to Ireland by the Rev James Hamilton in 1644, widely disseminated and sworn to with enthusiasm by the people. A consequence of this was a growth in the demand for ministers, their number rising to over 30 by 1647. Yet again the Presbyterian conscience was troubled both by the way a majority in Parliament was achieved ( by locking up dissenting Members so they couldn`t vote ) and by the decision to execute King Charles in January 1649 . On 15 February 1649 the Presbytery met in Belfast and drew up a ` Representation` objecting to the Kings death which was ordered to be read from every pulpit. This understandably soured relationships with the English Parliamentarians who commissioned no less a person than John Milton to respond to it. 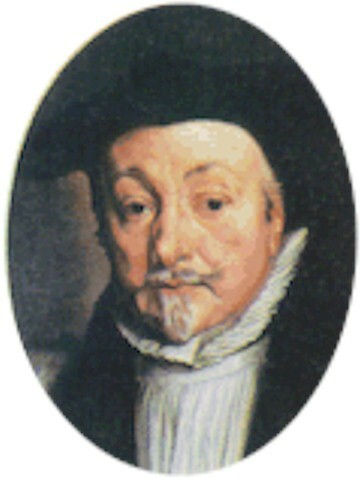 Milton denounced the Presbytery and its Remonstrance as "devilish malice, impudence and falsehood " and called Belfast " a barbarous nook of Ireland ". But true to their beliefs the Presbyterians continued to protest against the conduct of the Parliamentarians and denounced them as usurpers. There soon followed the landing of Oliver Cromwell at Dublin on 15 August 1649, and his swift campaign to subdue Ireland. There were two agreements entitled " The Engagement " the first being in 1647 between Charles I and Scottish nobles in which the King agreed to the Solemn League and Covenant and Presbyterianism faith allowed for three years after which a definite settlement was to be made. On the other hand the Covenant was not to be forced on anyone who did not want to subscribe and in the Royal Household Episcopal worship would remain. But the Scottish General Assembly never approved the agreement, and after the defeat of the "Engagers" at Preston by Cromwell`s forces, power returned to the strict Covenanters. However. arising from Cromwell`s subjugation was another oath, also called " The Engagement " which renounced the claim of Charles Stuart, the heredity claims of King Charles line, and bound signatories to be true and faithful to the Commonwealth, as Cromwell`s government was known. The Irish Presbyterians refused to take the oath and were subject of more severe punishments with very many fleeing to Scotland . Only a handful of ministers remained in Ireland ministering to their flocks through the `conventicle` - the clandestine open air meeting. The vacant ministries were filled by other non conformist ministers from England and plans were put in train to banish the leading Presbyterians from counties Antrim and Down. The government proposal in 1652-3 was to remove some leading Presbyterians to Munster with the promise of cheap land and ` freedom of conscience`. To an extent the Presbyterians identified were reluctant but also acquiescent to an obviously superior force, and negotiated the best terms they could get, including the timing so as to be able to obtain the benefit of crops they would otherwise have to leave waste. 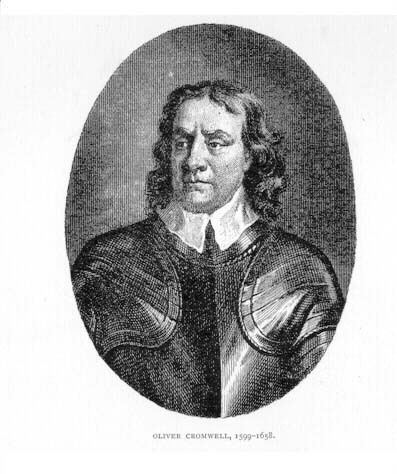 Cromwell, however, realised that although dissenters, the Presbyterians were essentially law abiding and would not otherwise give him much trouble so persecution ceased. He also saw the opportunity to plant a protestant population in Munster and Leinster by banishing priests and forcing Catholic land owners to move to Connaught. The seized land was then used to pay his soldiers, although many then quickly sold their allotted land on to whomsoever wanted it. By 1653 there was an increase in ministers, rising from about 24 to 70 by the end of the year. In May 1655 Col. Barrow, Col. Trayle and Mr Timothy Taylor, minister at Carrickfergus, were appointed to produce a list of names of persons qualified to preach the Gospel. In November of that year Col. Trayle made a return of Scottish ministers in the Province and some fourteen were recipients of an allowance of £50 on 25 December and 25th March following. On 13 May 1656 their names were added to the Civil List with their appointments. William McCormick (Magheralin) William Jack (Aghadowey) plus Donald Richmond (Hollywood). Subsequently all ministers who applied received a an endowment of around £100 and there were soon five Presbyteries with some eighty congregations under seventy ministers ruled by a General Synod. which met four times a year. But Cromwell died in September 1658 and the door was reopened to another time of repression through the duplicity of King Charles II who reneged on his acceptance of Presbyterianism and the National Covenant. Next: The Restoration of Charles II in 1660, and after.